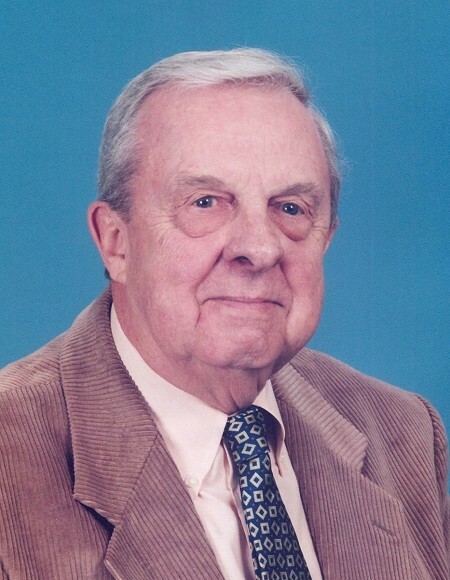 Wiley Leroy Barnes, 92, died Wednesday, January 16, 2019. Funeral, Saturday, 11:00 AM, First Baptist Church, preceded by visiting beginning at 10:00 AM in the small dining room. Interment, Maplewood Cemetery. A Navy veteran of World War II, he served in the South Pacific. He was in the electrical lighting business before retiring to Emerald Isle where he enjoyed real estate business. He had been a Jaycee and a member of the Elks Club. He was preceded in death by his first wife, Helen Ford Wheeler Barnes; daughter, Carol Brewer; parents, Wiley and Gertrude Stallings Barnes. Surviving is his wife, Kitty Allen Moore Barnes; daughters, Lou Ann Griffith of Wilson, and Lee Murphy (John) of Burtonsville, MD; son, Ned Barnes (Amy) of Wilmington; grandchildren, Kelly Norville (Kent) of Wilson, Bryan Brewer (Birgit) of Naples, FL, Jessica Mayes (David) of Annandale, VA, Drew Barnes of New York City, and Mitchell Barnes of Wilmington; great-grandchildren, Kaitlyn Lippert (Ryan) of Wilson, Colton and Libby Mayes of Annandale, VA, and Luke and Nico Brewer of Naples, FL; great-great grandchildren, Rylin and Shea Lippert of Wilson; brother, Charles M. Barnes of Wilson; step-children, Laura Cermik (Frank) of Raleigh, Tim Moore (Carol) of Fort Eustis, FL, and Phillip Moore (Cindy) of Newport News, VA; one step-grandchild. Memorials are suggested to the First Baptist Church, PO Box 1467, Wilson, NC 27894.